Elizabeth Reiter, 84, of Tiffin, passed away on Wednesday, January 16, 2019 at St. Francis Home. She was born on February 6, 1934, in Kirby, Ohio to Raymond and Arlys (Kentfield) Frey. On June 1, 1957, in St. Mary Catholic Church, Kirby, Ohio, she married Francis Reiter and he preceded her in death on February 1, 2016. Survivors include sons, Jim Reiter of Tiffin, OH and Mark Reiter of Toledo, OH; daughters, Sharon (Norm) Smigielski of Lebanon, OH and Danette (Craig) Scaife of Tiffin, OH; sisters, Evelyn (Paul) Bouillon of New Riegel, OH, Martha Wagner of Carey, OH and Cookie Davidson of Nevada, OH; and seven grandchildren. She was also preceded in death by her parents; brothers, Ronald Frey and Paul Frey; and sister, Kate Bouillon. Elizabeth worked at Tiffin Enterprise, Frisch’s Big Boy, Tiffin Bake Shop and was a hostess for ten years at the Hampton Inn where she was known as the “breakfast angel” and won the Spirit of Hampton Award in 2007. She was a member and volunteered at St. Joseph Catholic Church and enjoyed being outside, yard work, flower gardening, crafts, cake decorating, reading, and dressing as the Easter Bunny at Camden Falls for many years. Elizabeth enjoyed taking care of her family and was very humble. 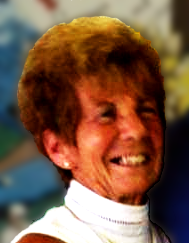 Her Funeral Mass will be at 11:00 A.M. on Saturday, February 2, 2019 at St. Joseph Catholic Church with Rev. Joseph Szybka officiating. Burial will follow in St. Joseph Catholic Cemetery. Friends may visit and share stories with the family from 10:00 A.M. until the time of the Mass on Saturday, February 2, 2019 at the Church. Memorial contributions may be made to Calvert Catholic Schools, St. Jude Children’s Research or to the Humane Society of Seneca County.